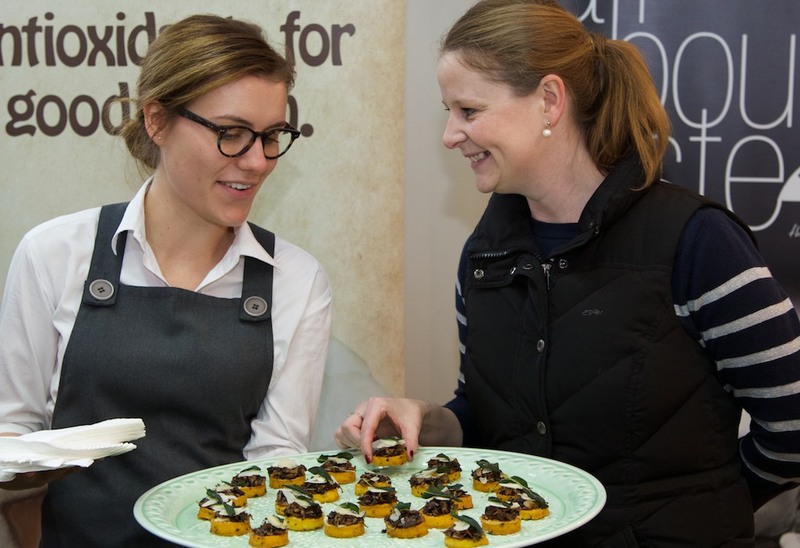 Who knew the humble mushroom had such a fascinating tale to tell? 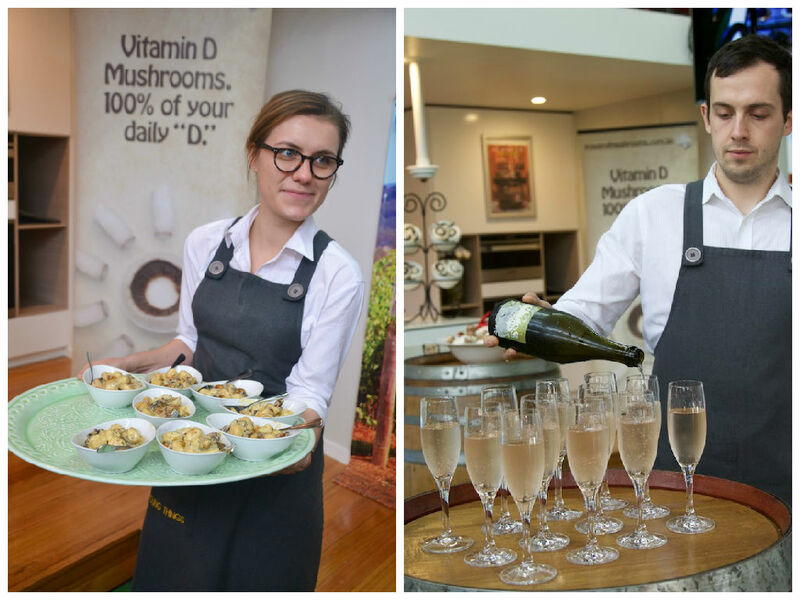 Often called the “greatest unclaimed gifts of nature”, just three mushrooms a day can have a whole range of health benefits including boosting immunity, lowering blood cholesterol and glucose and for their anti cancer properties. 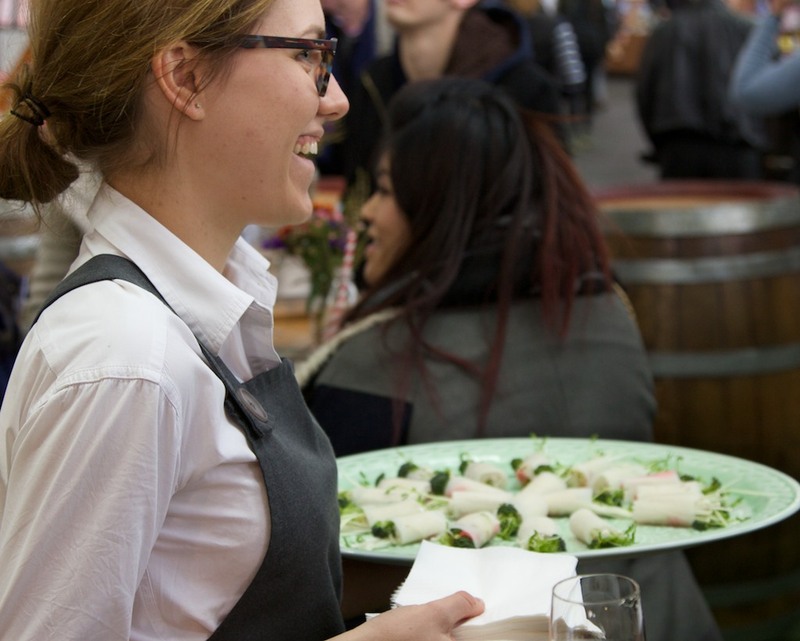 I was kindly invited by the Prahran Market and Australian Mushroom Growers for an educational day trip to experience the world of the mushrooms first hand. 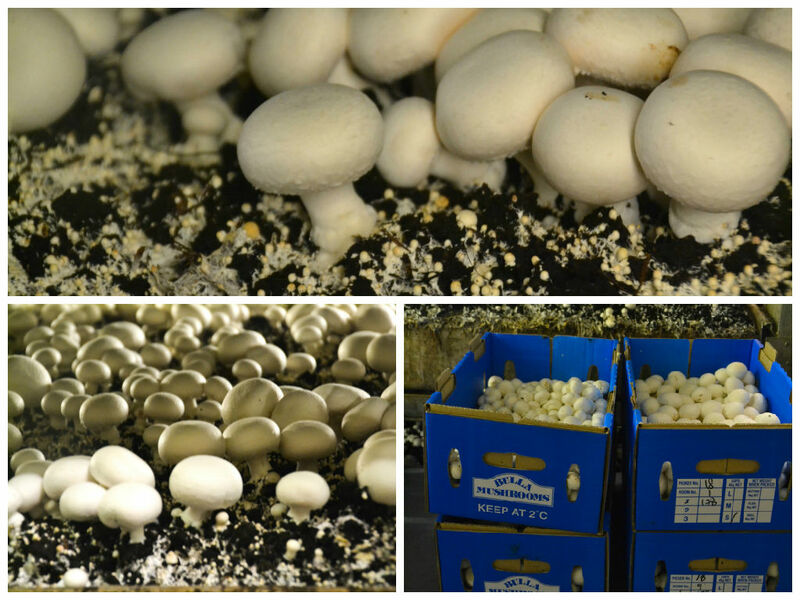 Our first stop was Bulla Mushrooms, located between Diggers Rest and Bulla on the outskirts of Melbourne. 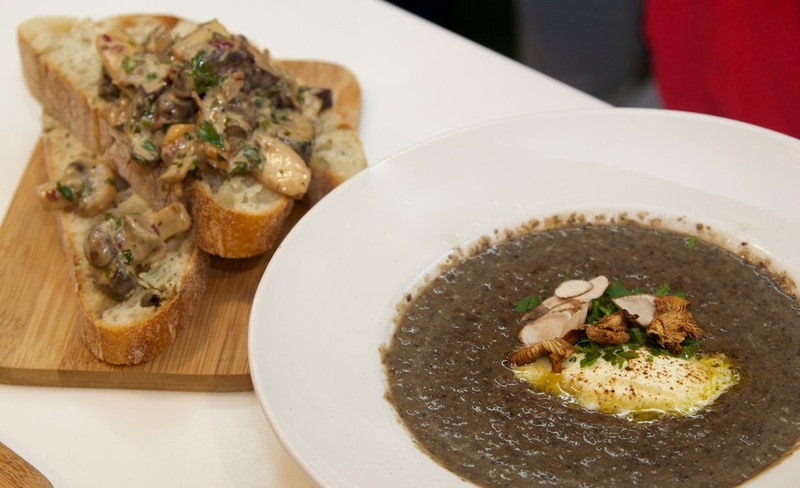 Bulla Mushrooms has been producing white button, cup and flat mushrooms for over 27 years, delivering a whopping 10 tonnes of mushrooms per week to supermarkets and greengrocers around Australia. Sandash Gautam, Farm Manager explained that the farm is designed on a Dutch Shelf System, where all processes are carried out within nine growing rooms. After a thorough process of filling, mixing and adding peatmoss to compost, the t temperature is constantly lowered to simulate autumn conditions. Approximately 14 – 16 days after this, the mushrooms can then be handpicked – a process which can take 4 – 6 days! The mushrooms are completely clean at this stage so ready to eat ,without being peeled or washed (which can deplete their nutrient value). 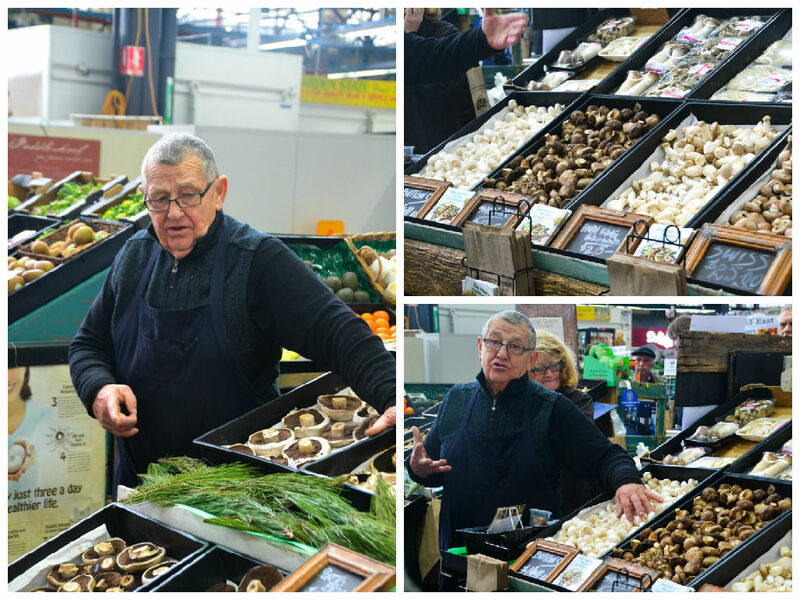 Stuffed full of mushrooms, we arrived back at the Prahran Market to meet Damien Pike, a wild mushroom specialist. 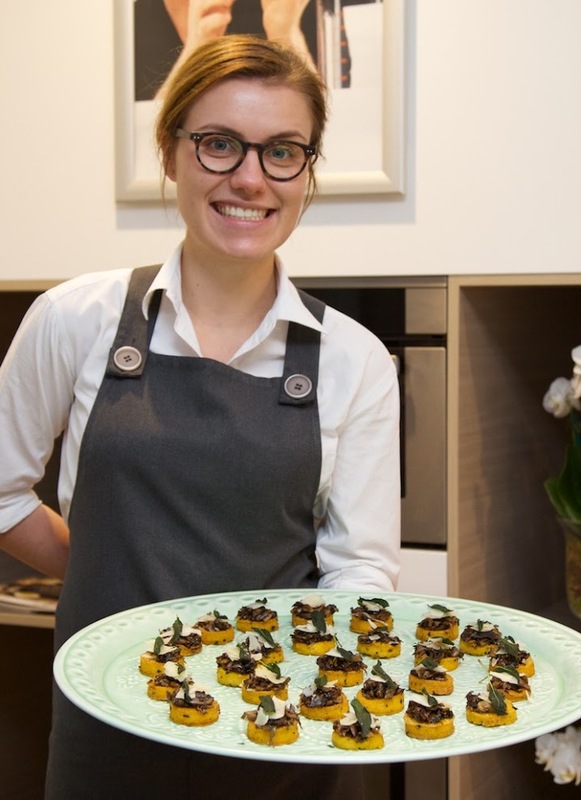 At Damien’s stall, you can find a great selection French and Australian mushrooms and truffles as well as unusual seasonal items like white asparagus, morels and China flat peaches. 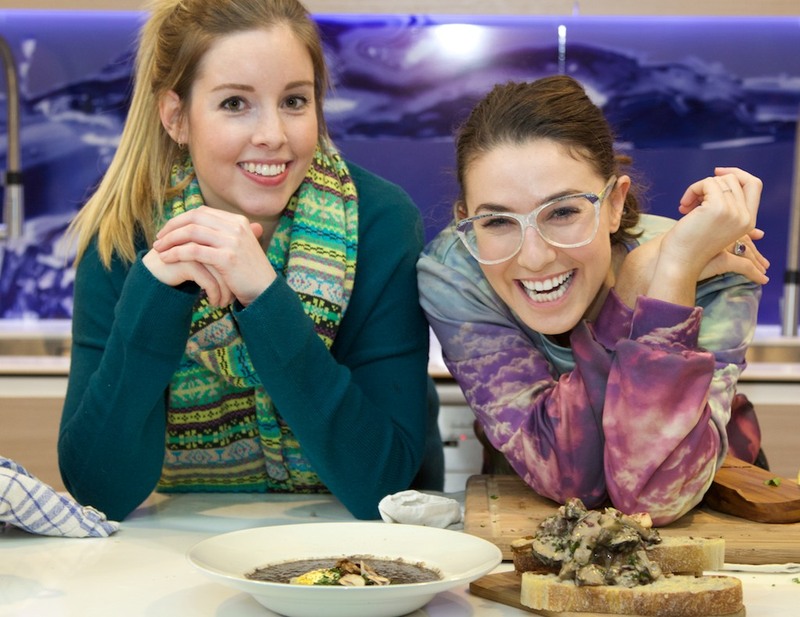 We were then treated to a delicious mushroom themed cocktail lunch by Bright Young things. Who knew mushrooms had so many uses? 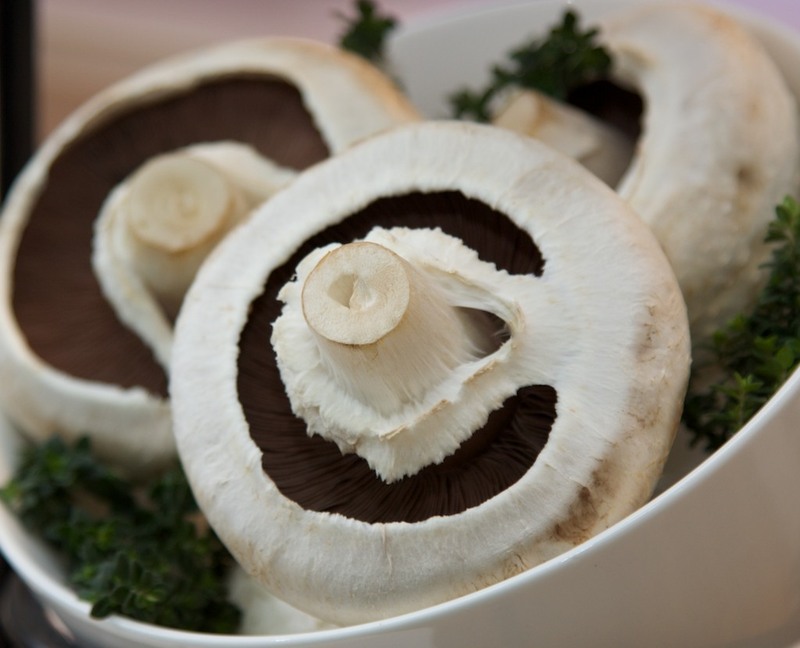 And they are healthy too – a serve of mushrooms provides more than 20% of the daily needs for 7 essential nutrients: riboflavin, niacin, pantothenic acid, biotin, copper, chronium and selenium. 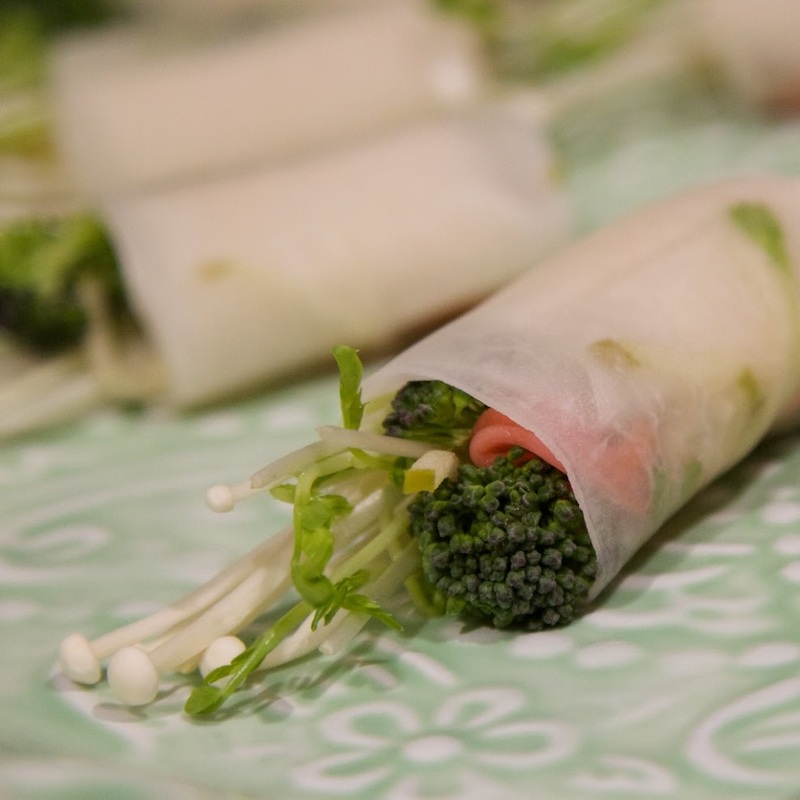 If the mushroom is exposed to sunlight, it can even make Vitamin D.
The lunch started with a beautiful smoked tofu and apple wrapped in daikon with enoki mushrooms, sprouts, cashew mayonaise and coconut amino. 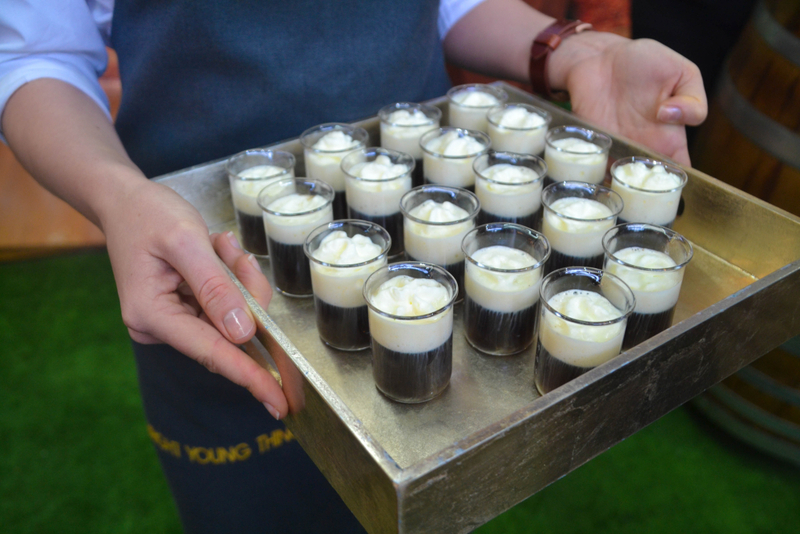 Then continued with a sushroom espresso with porcini consomme and bay infused foam. 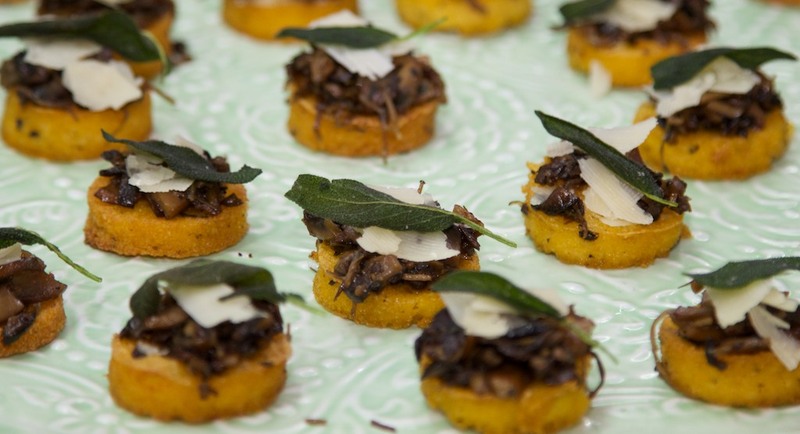 The truffled polenta chip was ridulously moreish, paired withwith reggiano, autumnal mushrooms and crispy sage. 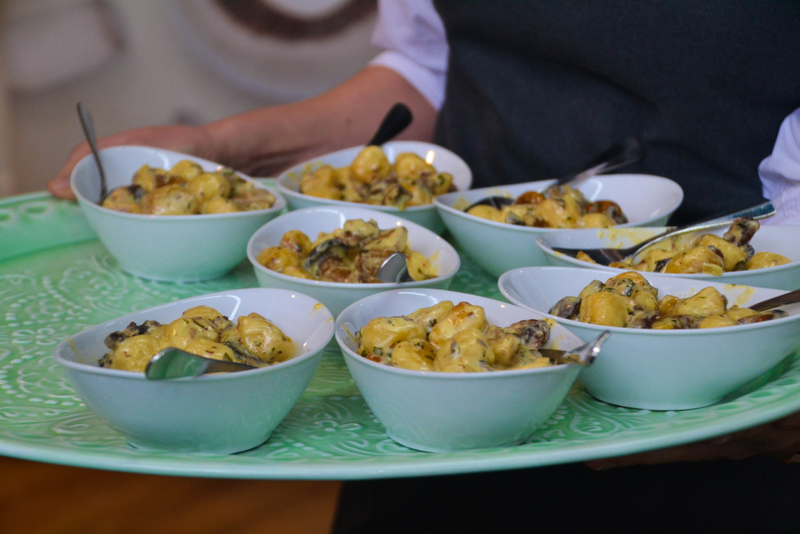 And my personal favourite, pan-fried gnocchi with oyster, Swiss and King Brown mushrooms, roasted chestnuts and crispy sage. 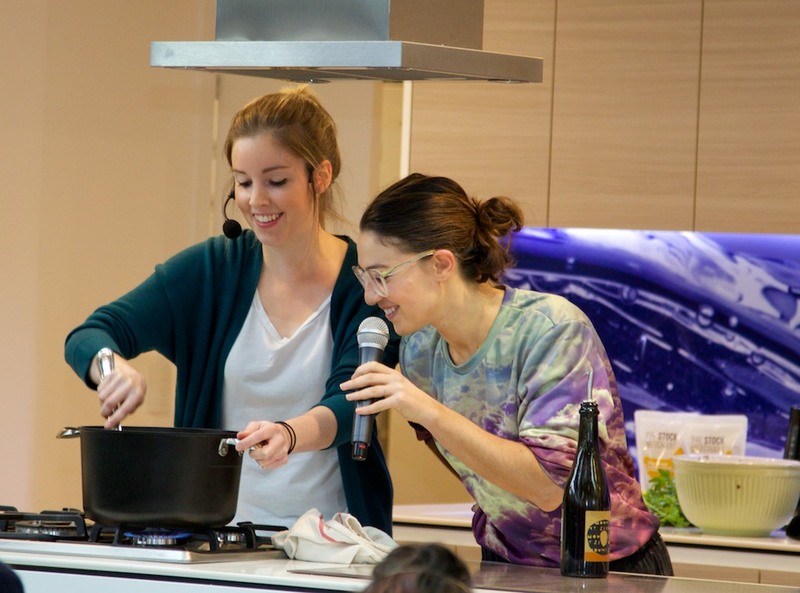 Alice in Frames and ex Masterchef contestant Anna Webster hosted a mushroom themed ‘Edible Adventures’ masterclass., showing how versatile the mushroom is for whipping up some winter goodies. 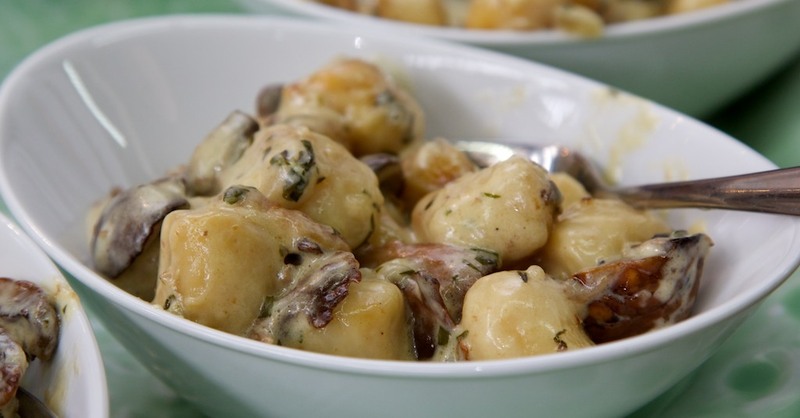 Since mushrooms have a savoury flavour, you don’t need to use as much fat and salt to flavour it. 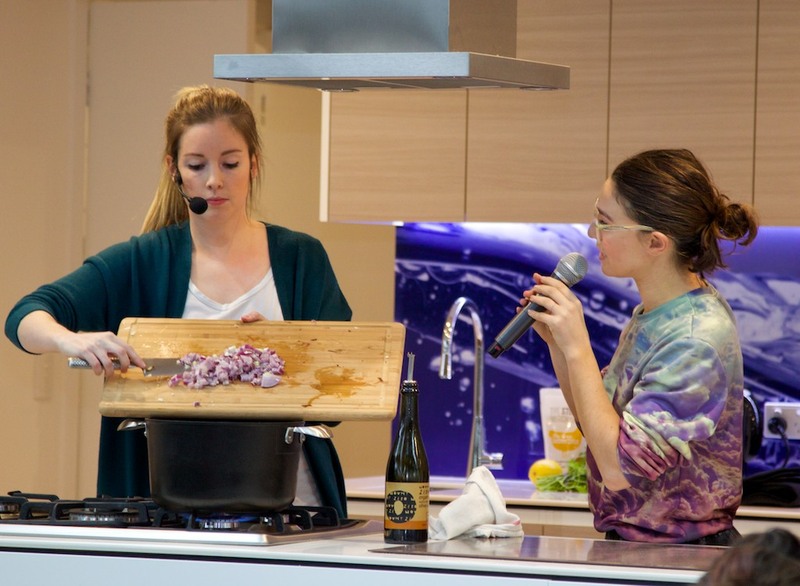 I cant’t wait to try some of these delicious recipes at home!